At the GM Meetings in Phoenix this week, Giants general manager Bobby Evans was asked about his team's fondness for using Madison Bumgarner as a pinch-hitter. 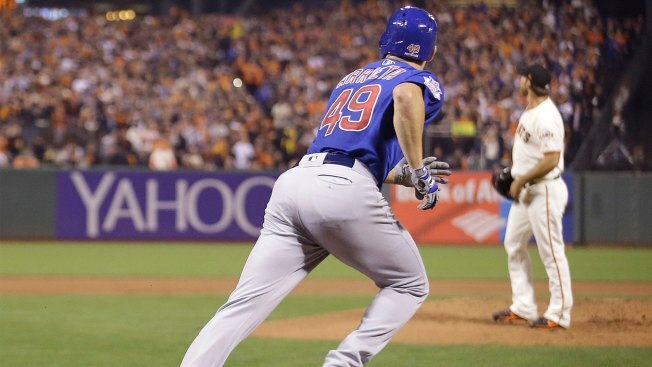 But the 2014 World Series MVP fell short of winning his third consecutive Silver Slugger Award. The Cubs' Jake Arrieta took home the hardware this time around. Arrieta hit .262 with two home runs and seven RBI this season. Bumgarner batted .186 with a .268 on-base percentage and three homers, tying Noah Syndergaard for the big league lead among pitchers. Bumgarner hit a career-high six doubles and drove in nine runs for the second consecutive year. He improved his eye at the plate, drawing 10 walks, an MLB-leading total that doubled his previous best. Over the past three seasons, Bumgarner has hit 12 homers, eight more than the next best pitcher.